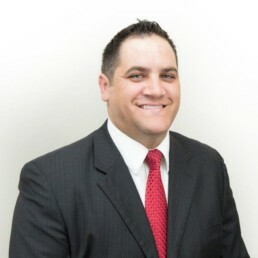 Greg earned his Bachelors degree in Business Administration and Accounting from Dixie State University then went on to receive his Masters of Business Administration (MBA) from Southern Utah University, graduating at the top of his class. He has been instrumental in a large array hospitality transactions. His hotel experience ranges from local properties to large national brand hotels. He thoroughly enjoys hospitality pro-forma financial work and has the ability to analyze even the most complex of transactions. Being born and raised in Southern Utah, Greg has an intimate knowledge of the area and its trends. He is especially qualified to assist clients looking to relocate their business or investments to Southern Utah. Greg currently serves on the St. George Housing Authority Board. He is an active member of the St George Area Chamber of Commerce, Rotary International and Business Network International (BNI). He has served on the DSU Institute of Business Integrity Council, is fluent in Japanese and is an Eagle Scout. Greg brings over a decade of commercial real estate experience to NAI Excel. He brings a strong background in the hospitality segment, as well as extensive experience in all types of commercial real estate transactions including retail, office, industrial, investment, land acquisition and development. Greg creates long lasting relationships with his clients through attention to detail and an ability to create insightful strategic solutions that meet his client’s needs.